All Parker homes currently listed for sale in Parker as of 04/23/2019 are shown below. You can change the search criteria at any time by pressing the 'Change Search' button below. "Never worry about over booked hotels or towing your boat to the River again! Enjoy your very own beach front Vacation Mobile Home in the Best Location at the Windmill Resort!! No one can block your River view and you're adjacent to the boat launch. Watch the sun rise over the desert with your fav cup of coffee from your own front porch. BBQ and play all year 'round in this updated 1 Bedroom, 1 Bath home with room to sleep 6. You can pull an RV right up to your home when friends come to visit! The kitchen was updated with granite in 2007 and a new roof in 2015 it also has a large concrete porch with room to add on. Added storage with an attached shed. The park amenities boast a clubhouse with a full kitchen, library, card and pool table. There's also a convenient laundry room. 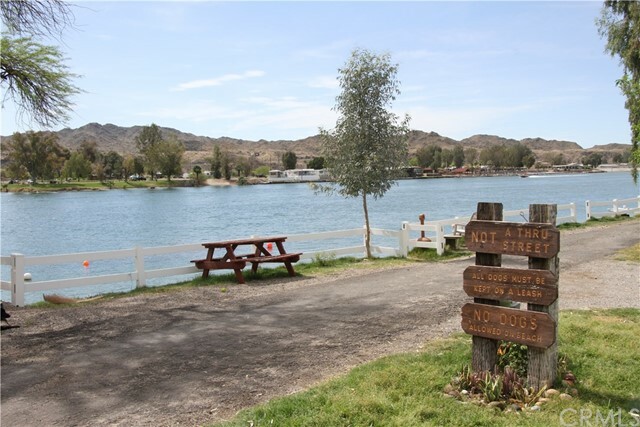 Your RV/Boat parking is included year round. So many restaurants and activities up and down the river with numerous boat taxis that will drop you right in front of your home! Come make this Vacation home your own and be ready to enjoy Summer!"